Figuring out how much money to save for your retirement is one of the great mysteries of life. If it were easy, we would all likely be doing it far sooner than most of us actually do. It is no big secret that the sooner you start saving for the future, the better off you will be in the long run. Unfortunately, retirement is not something we often consider until we hit our forties. It is never too late to come up with a good strategy. However, the planning often stymies most people because they simply do not have any way of predicting what is to come in the future. While the prediction factor is certainly a part of it, there are several steps you can take to adjust those guesses for the future. That way you can make the right moves in the here and now. Saving for retirement relies on calculating things such as your spending habits, future plans, and estimating how long your money is going to need to last while you are alive. Of course, none of us has any idea what our lifespan is. Therefore, you will need to rely on educated guesses that best reflect your current lifestyle and daily routines. Like any type of plan, you may need to reconsider and rework it in light of any changes or curveballs that life throws at you down the line. That is okay too. You can still anticipate what you will need to keep saved in the bank, even if the plan runs up against some major obstacles. Here are some of the things you must consider when it is time to devise a strategy for saving for your retirement. It all starts with some careful consideration as to what your spending habits are in the present. This is an arduous affair. However, it really is an important component to getting your retirement plan in order. Break down your ongoing monthly expenses, by taking inventory of all your financial obligations, as well as your spending habits on things like food, gas, recreation, etc. Include anything in your household budget, as well as personal indulgences, and recurring payments on a loan or any other debt. Although these last items may come to an end by the time you retire, it is a good idea to include them anyway. That money can go towards other contingencies and surprises that might crop unexpectedly later on. Think of that portion as your cushion or emergency fund. Be sure you also consider any fluctuation that might occur in certain monthly expenses. If you do have some items that are a different amount every month, just figure an average and use that when you begin to tally it all up. Once you have a hard estimate of the money that goes out each month, start making a full account of all that is currently coming in, and in the future. Put together a list of your assets that you can claim currently as well as forecasting future earnings. These might include investments, holdings, future income at your present job, even Social Security. Calculate all the money that you are expecting to receive, and come up with a number. There is one more list you need to make next. Think about what it is that you want to do with your life when you retire. Is there something you want to buy, places you want to travel, hobbies you never pursued? Do you have a “bucket list”? It is possible that you have some ideas lined up already. For those of you who have not really thought much about it, now is the time. Even if you do not have the first notion of any type of future plans, think of a few things you might want to do when you retire. Then write those down. It is as simple as spending more time with family or going somewhere that you have been before. When you have those ideas in mind, do a little research and think about what these things might cost you in the future. While you are determining your expenses for the future do not forget to factor in the costs of healthcare. We all age and when we do things stop working like they used to. We get sicker more often and diseases can creep up suddenly. The bottom line is you need to factor your health into your future expenses. You probably included insurance premiums as part of your first expenses list, as well as your out-of-pocket costs for medical care. Just be sure to make a rough estimate of what those costs will be as you grow older. Things like Medicare and additional coverage options also become part of the equation. Now take all of your present and future expenses and add them up. Then look at your assets list and all the money you currently have in the bank, as well as the income you are expecting. Set them side-by-side. You are now looking at your financial forecast. How does it look at the moment? Is there more going out than coming in or vice versa? This is your starting point toward saving enough money for retirement. For some of you, the task at hand might require more work than it may for others. If you have already made your way down the path toward saving, this assessment is the thing you need to revisit your strategy or the assurance that you are well on your way to reaching your goals. Those of you who have not put aside a cent, please do not panic. You can still take the proper steps to getting a smart savings plan in place for the future. It might have effect when you can retire, but you will be able to put enough money away as long as you get to it sooner than later. You may think all of that accounting, figuring and estimating for what may or may not come is too much of a hassle. Perhaps the outlook is already bleak and you do not want to face cold, hard facts directly in the eye. That is okay too. You can always guesstimate through some of the standard income replacement estimates that most financial gurus suggest you adhere to when thinking about your retirement options. The first of these is the rule of eighty. Build your plan around replenishing eighty percent of your income before you hit retirement. That amount is typically the average number of your anticipated earnings in the ten-year span before you retire. Keep in mind this is a ballpark estimate. It may not sufficiently meet your needs but it is a good place to start. This is particularly true because for some people the number is closer to seventy percent. You may even want to replace an amount that equals ninety percent instead. The number you ultimately shoot for predicates how much of your income that you are already squirreling away for retirement. If you are setting aside fifteen or twenty percent of your paycheck now, that means your number is something like eighty to eighty-five percent. When you reach the age for collecting Social Security, that percentage is reduced. Let us look at it another way that might provide more clarity on the subject. If you are still a little confused, just look at it the way many financial advisers suggest you plan for retirement. Take your annual salary and multiply it by 10 or even 15 depending on your current lifestyle and future plans. Let us say you are sixty years old and you bring in $70,000 a year. You would need a minimum of $700,000 put away in your savings account. Multiply by fifteen and your number is $1,050,000. How close are you to having that much money stashed away for the future? Now you know how much work you need to get to that goal. That means you should think about how much longer you need to work, and what other income you can expect after you leave the workforce. Maybe your retirement still incorporates some type of part-time employment. A pension and/or other investments will bring in revenue. All of this is factored into your savings strategy. All of the hypothetical examples and rules of thumb in the world is not as helpful as actually looking at real numbers. That is how the retirement calculator is your friend, as long as you do not lie to it or yourself about your figures reality. Math is hard and that is why you can find a whole range of retirement calculators with just a simple online search. Pick the one you like the most and start entering in the numbers we discussed when it comes to your income and expenses. In order to get a realistic accounting of your retirement outlook, it is best to aim high on the expenditures side and low-ball your income amounts. This will provide you with the most precise and strict estimates for the number you need to reach in order to have enough for retirement. You just need to plug in all the data it asks from you and the retirement calculator will do the rest. Most of these calculators consider factors such as life expectancy averages, inflation rates, interest, and other projections. 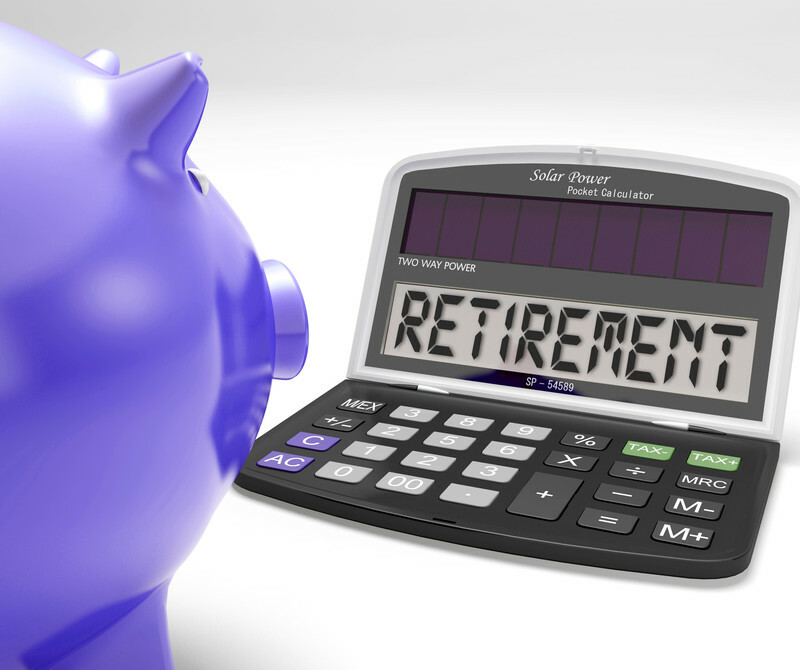 The retirement calculator will give you an accurate picture of your financial forecast. It is also important not to rely on retirement calculators exclusively. Their settings and defaults are just overall estimates based on the particular data you enter. That does not mean this is the last word on your retirement strategy. Your investments and savings may account for a faster pace to reach your goals than the calculator estimates. Your lifespan might also exceed its projections. That is usually based on the lifespan of your relatives. If the average lifespan of most of your relatives falls somewhere in the late eighties or early nineties, then that is slightly longer than average. You must take that into consideration when you devise your savings plan. If you live longer than estimated, your money will need to go further as a result. Once you have retired, all of that money you saved up is your main resource. You might still have some income coming in from your pension, Social Security or other sources. It is important to consider most of these savings as your means to living the life you wish. That means it needs to last as long as you do. How do you budget this money so that it serves your needs and not have to worry about it running out too early? Luckily there is a typical annual average that is often suggested as a suitable rate of withdrawal for making your money last. That number is four percent. When you withdraw that percentage each year for a standard length of thirty years, which is a ballpark figure for the average lifespan of most retirees, your nest egg will likely be there for your remaining years. Should you live longer than the average person does, then four percent is not the right figure for you. Let us look take a glimpse of actual numbers to help illustrate what it really looks like in dollars and cents. We will refer to the earlier example of putting away ten times an annual salary of $70,000 which came out to $700,000. A rate of withdrawal equal to four percent over a period of thirty years turns out to be $28,000 a year. Obviously, that number increases the more money you put away in savings, but that should give you the general picture of what a four percent rate of withdrawal looks like. For some people, it is a perfectly sufficient number. For others, it is definitely not enough. However, that is not accounting for increases in the standard of living that are likely to occur over the course of your remaining lifespan. Do not forget about the other revenue you might be collecting in the future. It can help offset the need for taking a higher rate of withdrawal as you keep pace with the ever-rising costs of living. All of these facts and figures will not do you much good until you put everything that we have talked about into action. That means considering how much money you need to save in order to reach your financial goals for the future. Devise a plan for saving in the ways that work best for you. The good news is that you have plenty of options to choose from. Which ones you ultimately decide will have a lot to do with how aggressive you are in reaching your financial finish line. Many people turn to 401(k) accounts or IRAs when considering their future finances. Some of them choose to invest in the market through any number of investments. Stocks, bonds, commodities, cash, funds, and other investment vehicles are available to consumers, who want a way to save money without it being sucked away by fees and taxes. There are also options for those people who find the stock market a bit too unreliable and risky. For these individuals, there are more non-traditional alternatives available for retirement savings. These include buying real estate, putting money into annuities, purchasing certain types of life insurance, peer-to-peer lending services, or investing in precious metals such as gold or platinum. They are all viable ways to start growing your nest egg for the future. These investment vehicles are a smart way to reach your number. It is also going to take serious discipline on your part to make sure that you actually save all of that money. It is all too easy to dip into some of these accounts when your cash is tight. Doing so before you are permitted access to your money will cost you. There are various laws and regulations that come with certain types of investment accounts. That means you will be losing more than you withdraw. Retirement accounts often have penalties for early withdrawal. Most of them do not allow you to touch the money you have saved until you reach your sixties. Doing so comes with stiff fees and taxes in many instances. 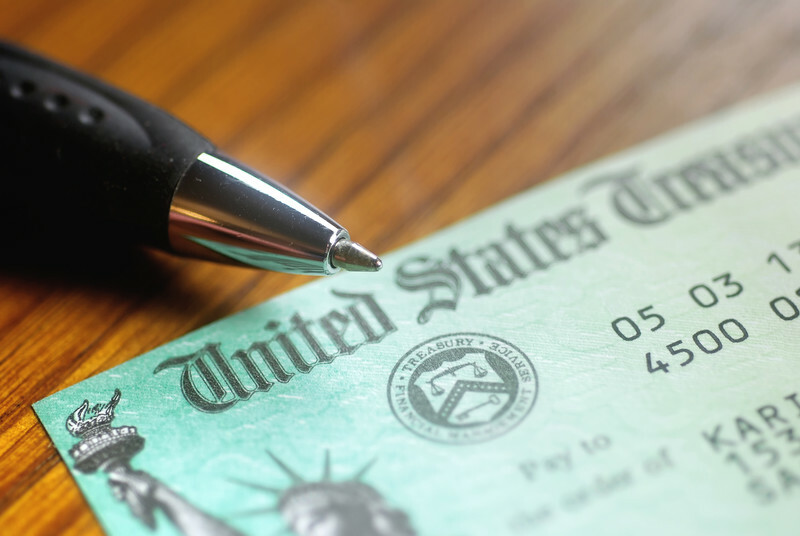 When you reach sixty-two years of age, you can begin to claim your Social Security payments. Depending on your personal situation that really is not the best thing to do. If your finances allow for it, here is one word of advice: Wait. The government lets you take your payments at age sixty-two. It also lets you wait until the maximum age of seventy to begin claiming your checks. Even better, they reward you for doing so. Each year you delay your payments after turning sixty-two years old brings an additional percentage to your payments. If you put off getting your money until the age of seventy, every check you receive will be thirty-five percent higher than if you had taken those payments when you were sixty-two. Waiting eight years yields you an extra thirty-five percent each month. Of course, how much you paid into the program while employed bases the amount of your Social Security check. Knowing you can expect that money to come in when you turn seventy is a relief to some of you, who are not too sure about reaching your financial goals for retirement. One very important thing to remember. The year you do decide to start taking your payments the amount owed becomes locked. It will never increase, so do not expect to get higher payments when you do reach the age of seventy. If you opted in before the maximum age required, keeps you stuck with what you accepted from the very first payment. Therefore, knowing when to opt into Social Security to get the most money possible is also a critical component of your retirement plan. Make sure that you are still on track to reach your goals by examining your plan every so often. Life definitely moves fast. Situations and conditions often fluctuate. If your retirement plan is not keeping pace with such changes, you are saving as much as you need. Your plans for the future might adjust or you may take on an extra hardship now. Both of these significantly impact your financial future. It is very important to check in with your retirement strategy in order to ensure it is still working for your updated financial outlook. It is not a big deal. Break out that old calculator two or three times a year. Do a quick audit of your expenses and your assets just to see if you are still hitting the mark. The sooner you know if you need to adjust, the better. How much money should you be saving for your retirement? That is a question we hope has become a little bit easier for you to ascertain, now that you know what you need to do to find the appropriate number. Only you know what your financial situation really looks like. Only you can plan accordingly to live a comfortable and enjoyable life after you retire. 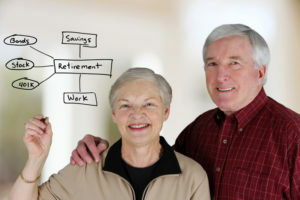 Deciding what that all means to you is going to play a large part in helping you save for your retirement.While you may not know what that is exactly, you can still think up a few ideas and plug them in as a placeholder. This will help you to get a better definition of your present and future financial needs. After you have a general view of what your retirement years might look like, you can begin to figure out how you will pay for it all. Do it now. Starting as early as possible will make it easier to save later on, and it will get you that much closer to your number faster.